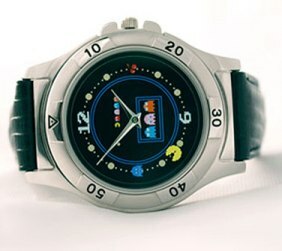 Yeah, this looks like a watch designed for die-hard Pac-man fans, and there are only going to be 500 of them made, each of them marked with a specific serial number. It costs about $129.99, and there is even a bundle version that includes a free copy of Pac-Man for the PC. I don’t know whether you would call this a deal, as you could probably get a watch for a much cheaper price than this. As for the free Pac-Man game, I’m sure you could probably find it on Xbox Live or the Nintendo Wii channel.